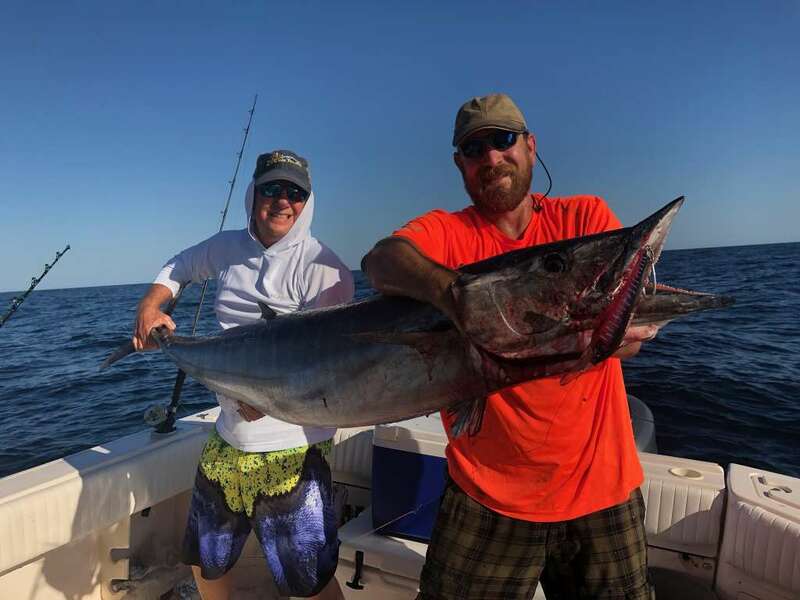 Tuesday, April 9th everything 100% lined up perfectly and two friends in myself, got a chance to get out for a bit of fun fishing, and got very fortunate that the wahoo were wide open while we're out there. First and foremost, most of you know, I I am a captain on one local party boats, in Port Aransas. BUT, what most people fail to realize, is it is extremely rare that I actually am able to get out and do some fishing myself. Between: almost never getting or taking days off, the fact that typically if I do get a day off, most the time it's because the weather is terrible, or the season is just wrong, to go out and target what I consider to be enjoyable. So even without having a great day on the water, this really was a treat for me. Anyway at 3:30 in the morning myself, Raul Melendez (Cheeseburger), and Wes Belcher departed Port Aransas in Raul's 26 Grady White, "Lisa Bonita" we arrived at the area that I was hoping we would find some Wahoo at 5:30 in the morning had time to get our lures tied on, riggers set, and everything else to have our spread up and running before 6 am. In the daylight it was obvious it was a lot of current there, and we'd had no love yet, we moved over to another spot with the similar conditions, and just got a barracuda. As wd gaffed the Barracuda, we did see about a 600-pound tiger shark swim by under the boat. Anyway, it was obvious the wahoo weren't going to happen there, so we started to head north to a couple other spots to see if we could find some different conditions or come across a rip. Its So enjoyable to actually have some success line up when I got to go out and hang out with some good friends. Our biggest one, caught by Wes wound up weighing 78.5 lb a couple of the ones that we lost, were definitely larger than that. 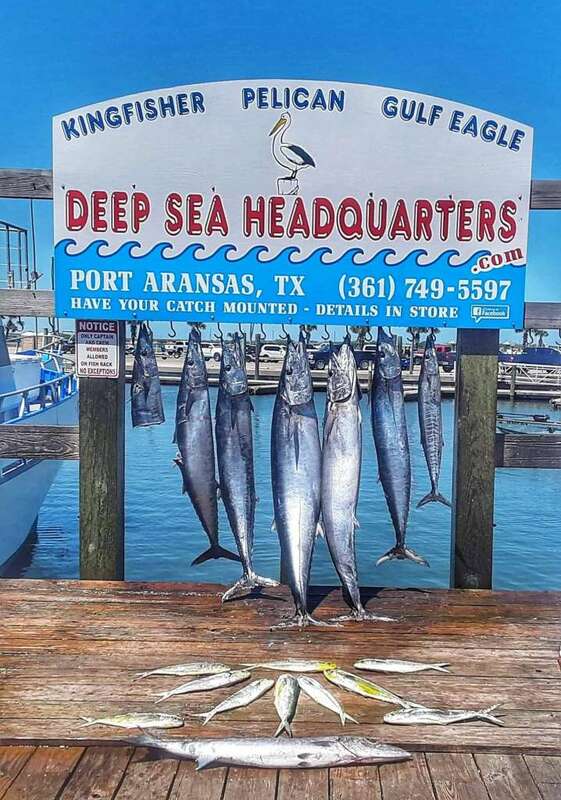 Anyway since we're out of Fish Box space, we headed in after dinking around with chicken dolphin for a little bit, and then we're back in Port Aransas by 2 p.m. with 276lb of fish in the box. This is a great day, and I will cherish and remember for a long time to come! Last edited by dolphinslayer1; 04/11/19 07:19 AM. Solid post and fish. Good job. Cool report and some tanker zebras! Thanks for posting! That looks like a great trip!! !